Princess Diana passed away in a car crash in a Paris underpass 10 years ago. Nevertheless, the rumors, speculations, gossips have never ended. 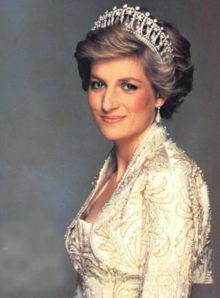 The death of Princess Diana has always been a secret for many people who want to find out the truth. Recently an 832-page Stevens Report which aims to end the 10 years of speculation about the car crash that killed Diana, Dodi Fayed and Henri Paul, has surfaced. How accurate and trustworthy is the report? It’s individual opinion. Anyhow, the death of Princess Diana is a fact, and it is a tragedy for her family, for her innocent children and also for those who like her. The incident is also a thorn in the flesh of the Royal family which will never go away. The claim: Mohamed Al Fayed said the Princess of Wales and Dodi Fayed were in a serious relationship and intended to get engaged. Al Fayed told the inquiry that his son was going to present a ring to the Princess on the night she died and that they would have announced their engagement on Sept 1, 1997. He also claimed that the Princess was pregnant and that the security services became aware of this through monitoring their telephone conversations. This, he maintained provided a motive to murder them. The claim: Al Fayed alleged that a vehicle may have blocked the Mercedes, ensuring it went into the underpass, and that a bright flash may have unlawfully contributed to the crash. The investigation: There was evidence of bright lights and flashes near the Mercedes after the crash. The Mercedes began to lose control before the underpass so bright lights or flashes in the immediate approach to or in the underpass were not contributory causes to the loss of control. The verdict: No evidence of any vehicle blocking the Mercedes and forcing Paul to take the embankment expressway. The claim: The Princess could have been saved if she had been taken immediately to the nearest hospital. Al Fayed claimed that, en route to Pitie-Salpetriére, the ambulance passed another hospital and because it took two hours to get her to treatment, her chances of survival were minimal. The Investigation: Sébastien Dorzée, a police officer, was one of the first to answer the emergency calls. He was asked to keep talking to the Princess to keep her conscious. She was badly injured with blood coming from her nose and mouth. Her head was between the two front seats. He told investigators: “She could see her boyfriend just in front of her. She moved, her eyes were open, speaking to me in a foreign language. I think she said, “My God” on seeing her boyfriend. At the same time she was rubbing her stomach. She must have been in pain. “She turned her head towards the front of the car, saw the driver and then I think she had an even better realization of what was happening. She became quite agitated. A few seconds later she looked at me. Then she put her head down again and closed her eyes”. Medical evidence showed that by the time the Princess arrived at the hospital she was unconscious and on a ventilator. She went straight into treatment and never regained consciousness. She was given emergency treatment at the crash site before being moved to hospital four miles away where she died. She had treatment and surgery before being pronounced dead at 4am. The inquiry found no evidence to show that any alternative treatment would have saved the Princess. There is medical debated about stabilizing a crash victim before moving them to hospital French practice at the time was to stabilize first but neither action would have saved her. The ambulance did pass the Hôtel-Dieu Hospital but it had no equipment for dealing with her injuries. The crash was at 12.23am and she arrived in hospital at 2.06am. it took 26 minutes to get her to Pitie-Salpetriére. The ambulance traveled slowly because of fears about her low blood pressure and stopped at one point. The verdict: A conspiracy would have required the agreement of medical specialists of some distinction following a plan of collaboration. Stevens said: “The evidence is that every effort was made to save her life”. The claim: Al Fayed maintained that Dianna was embalmed in France to conceal her pregnancy and the actions of the French authorities were orchestrated by the British Ambassador and M160. He said that Dominique Lecomte, the pathologist who carried out an external investigation of the body, gave the authority for the embalming although it was unclear if the Royal Family or anyone else had given instructions. As part of the cover-up, Paul Burrell, the Princess’s butler, allegedly collected her blood-stained clothes despite the fact that the death was being treated as potentially suspicious. He later burnt the clothes. The investigation: No pregnancy test was carried out in France or Britain. “The only concern of the medical staff was emergency treatment to save her life. After the Princess was pronounced dead, there was no need for further tests,” said the report. No pregnancy tests were carried out in Britain because it was not relevant to the cause of death. The embalming was legal and authorized by a senior policeman and the British Consul-General, and the French pathologist was not involved. A French embalmer believed that no other method – such as dry ice – would work because of the extend of the injuries. Burrell told the inquiry that he had seen Diana’s clothes in a bag in the surgeon’s room in Paris. The records show that he signed for them but he cannot remember doing so. He said that the “clothing that had been taken off the princess in Paris was returned to me the next day at Kensington Palace”. They included “her white pedal pusher trousers that I had brought her for the holiday. They were clearly blood-soaked”. After taking to Lucia Flecha de Lima, “I destroyed them for health reasons. I did not know what else to do”. He had never seen the Princess’s outer clothing since the crash. There is no evidence to show M16 had any involvement with the embalming. Sir Michael Jay, the British Ambassador, denied being involved in the decision about embalming and the report finds no reason to doubt him. The claim: The French authorities did not carry out proper investigations at the scene of the crash and deliberately prevented investigators for the family of Henri Paul from getting body samples and blood for independent tests. The body was released for burial on the condition that no tests were carried out. French police were accused of not roping off the scene long enough for detailed work. Traffic investigations and a photograph of the Mercedes entering the tunnel showing its speed were suppressed. A statement by Eric Petel, a motorcyclist, who claimed to be first on the scene and described hearing an “implosion” just before the crash, was suppressed by police and later lost. The investigation: The autopsies on Paul’s body were carried out by the French authorities. There were two; in Frrance they can only be carried out by a doctor appointed by the authorities. Blood and tissue tests can also only be carried out by authorized experts. Herve Stephan, the investigating magistrate, agreed to release the body but did not stipulate that there should be no further tests. However, the law would not have allowed them. French investigators told the British inquiry that the accident scene was treated the same as any other. Roads are usually opened quickly to get traffic moving but are closed again later if there is more work to be done. The traffic investigator’s report under the French system is part of a dossier of material held by the investigating judge. The Stevens inquiry found that the photograph of the Mercedes was taken outside the Ritz and not at the tunnel. They traced the photographer who took it as the couples were leaving on their final journey. The report said the Petel’s evidence should be treated with caution and “there is no corroboration for his account. The evidence available from other witnesses contradicted his view that he stopped and tended the Princess of Wales. Those arriving at the scene would surely have seen him at the car”. The French thought that he might have been a motorcyclist who had driven close to the crashed Mercedes without stopping, but at one point his claims were described as “pure fabrication”. The verdict: None of the claims was proven. The claim: The Al Fayed team claimed that the white Fiat Uno that hit the Mercedes on the Alma underpass was driven by James Andanson, a French photographer who had been working in the south of France watching the Princess and Dodi Fayed. His father claimed that Andanson had been turned by the French and British security services. He was “murdered” in May 2000 to silence him and his death was never properly investigated. The French investigating magistrate halted the search for the Uno without reason. The investigation: Andanson was not in Paris on the night of the crash. His wife told the investigation that he was at home with her at Lignieres, 272km from Paris, on the night of the crash and left at 4am to fly to Corsica for an assignment. He did own a white Fiat Uno and the evidence suggests it was at his home outside Paris. At the time of the crash, the car had done more than 360,000km and was nine years old. Police questioned him and examined and eliminated the car from their inquiries in February 1998. The French police believe that he committed suicide and the British team agreed. There is no evidence he was murdered or that he worked for M16. The burglary after his death was investigated and professional criminals were arrested but nothing belonging to Andanson was taken. The French stopped hunting for the Uno in October 1998 after checking 4,668 cars. It has not been identified. The verdict: Andanson had nothing to do with the Uno that crashed into the Mercedes. The claim: British security services were involved in a staged accident to kill the Princess and Fayed. This was done to prevent an announcement of the pregnancy and marriage of the couple. The plot was launched at the behest of Prince Philip. Al Fayed supported his claims with details from Richard Tomlinson, who worked for M16, and David Shayler and Annie Machon, who had worked for M15. The investigation: Police spent three weeks going through M16 records. They interviewed all the M16 officers in Paris in 1997. Many were on leave in August 1997. Many were on leave in August 1997 and none knew Paul. M16 records show no sign of M16 operations at the hotel. There were claims that two M16 officers arrived at the embassy just before the crash and left soon afterwards. Tomlinson admitted to police he had been wrong about the postings of the two, named as Richard Spearman and Nicholas Langman, and admitted his suspicious “would appear to be unfounded”. The two former M15 officers told police that from their knowledge of the service, the Princess was not under surveillance. The verdict: “There is no evidence that any Secret Intelligence Service (M16) officer of any designation was involved in the events surrounding the crash in the Alma underpass”. All the evidence shows that M16 did not know that the couple was in Paris and there is no evidence to support the claims about Prince Philip. The claim: Al Fayed claimed that his son had proposed to Diana and they were planning to get engaged. The investigation: The Stevens team talked to the Princess’s family and friends. Prince William told the team that he had no knowledge of any plan by his mother to get engaged to Dodi. They also spoke to the Princess’s friend, Lady Annable Goldsmith, who spoke to her two days before she died. She told the inquiry that in a phone call the Princess said she was having a lovely time on holiday with Fayed but had no plans to marry. Al Fayed also claimed to have information that the Princess and his son had gone to the Repossi jewelers in Monte Carlo, where they selected an engagement ring that was allegedly sent to Italy for sizing and later collected by Dodi Fayed from a Repossi branch in the Place Vendôme, in Paris. The evidence about selecting and purchasing the ring was contradictory, Lord Stevens said. Dodi or the Princess might have seen an item of jewellery in the shop window, but the company has no evidence of work being carried out on the ring. Dodi did visit the Repossi branch in the Place Vendôme on Saturday, Aug 30, 1997, and was shown a selection of rings but he left with only a catalogue. Two rings were later sent to the Ritz and Dodi selected one from the “Tell me Yes” range. It was not pre-selected or sent to Italy for sizing. The verdict: The weight of the evidence is that Diana, Princess of Wales was not intending to get engaged. Dodi may have meant to propose but the only evidence is from Al Fayed. The claim: Al Fayed claimed that the body of the Princess was embalmed illegally in France and that this was done to conceal a pregnancy. The investigation: No tests for pregnancy were carried out in France but the Home Office pathologist carried out a full post-mortem examination and saw no signs of pregnancy. There was no indication of pregnancy given by the Princess to her doctor, family friends or associates or those carrying out “personal services” to her in the days before she died. The Stevens team found a sample of the Princess’ blood in the wreckage of the Mercedes in 2005. Tests showed no trace of the pregnancy hormone HCG, human chorionic gonadotropin. Lord Steven’s report went on: “There is witness evidence from close friends and others that the Princess of Wales in mid-August 1997 was in her normal menstrual cycle. There is witness evidence that she was using contraception. Myriah Daniels, a holistic healer who traveled with the couple on board the yacht Jonikal said: “I know for a fact she wasn’t pregnant because she told me she wasn’t and through the course of my work on her body I found no indications to show me that she was”. The verdict: Pathological, scientific, medical, and anecdotal evidence showed that Diana, Princess of Wales was not pregnant. The claim: The inquiry investigated claims that the Princess feared for her own safety and believed that there were plans to cause her harm. The investigation: The inquiry heard that the late Lord Mishcon, the Princess’s solicitor, made a note of a meeting with her in 1995 at which she told him that “reliable sources” had said to her that by 1996 efforts would be made to get rid of her, whether by her having car accident resulting from brake failure, or by arranging an injury so serious that she would be declared unbalanced. “The Princess apparently believed that there was a conspiracy and that both she and Camilla Parker Bowles were to be ‘put aside’,” Lord Mishcon told the inquiry. Although he did not believe what she was saying was credible, Patrick Jephson, who was her private secretary at the time, “half believed” the accuracy of her comments. In addition Lord Stevens investigated a note left by the Princess in 1996 in which she claimed that the Prince of Wales was planning an accident in her car caused by brake failure to clear the way for him to remarry. It was assumed that the remarriage referred to Parker Bowles – but the Stevens inquiry reveals that the note identified another woman. It was reported last night that the woman is Tiggy Legge-Bourke, the former Royal nanny, who is now married and living in South Wales. She declined to comment. But Lucia Flecha de Lima, another friend of the Princess, said she had never spoken of such fears to her. “She never feared Charles. Prince Philip tried to help her during the difficult period of her marriage, in his own way. He was sometimes a bit brutal. I have read the letters. They were not unkind. He is a clever man. He would not hurt her,” she told the inquiry. The Duke saw no reason to comment when contacted by the Stevens team about the allegations. The verdict: There is no supporting evidence to show any grounds for the Princess’s repeated claims that she might be killed in a car accident after the brakes were tampered with. The Princess believed that her telephone conversations were being listened to and there may have been attempts to listen to her conversations at home. The claim: Mohamed Al Fayed claimed that the presence of the paparazzi created the environment which collision could be arranged. The investigation: The Stevens inquiry went back over the French investigation into the actions of the paparazzi. They found that the film seized from the cameras of those at the scene showed they were taking photographs of the car of the occupants, or both, almost immediately after their arrival at the scene as there were no emergency services visible in their photographs. But there was no evidence to show that those arriving immediately after the crash, or later, deliberately interfered with attempts to save the passengers in the car or undertook any actions that showed they were involved in a conspiracy to harm them. The verdict: There is no evidence that others took advantage of an environment created by the paparazzi, and neither is there evidence that they colluded with others to create the circumstances that allowed others to murder the Princess and Fayed. The claim: The inquiry investigated allegations that the driver worked for the security services, either of France or Britain, and was instrumental in the plan to have the Princess killed. The investigation: The team looked at allegations that incorrect information about Heni Paul’s fitness to drive because of alcohol had been deliberately disseminated in order to cover up the real cause of the crash, and that samples taken from his body were swapped by the security services with those of another body so that toxicological results for the French investigation did not relate to him. Claims that Paul received payments from intelligence or security services could not be proved or disproved by his accounts. Some of the procedures and documentation relating to the first post-mortem examination on Paul were not of the highest standard. Paul had been drinking and was three times the legal limit in France and about twice the legal limit for driving in Britain. But there was no evidence that he was unsteady on his feet after his unexpected return to work on the night of Aug 30. “Although there is no definitive evidence that Henri Paul was an alcoholic, there is evidence of a perceived dependency on alcohol on the part of Henri Paul himself,” the reported said. The verdict: There is nothing to support the contention that the samples analysed were not those of Paul’s blood. There is no evidence that Paul was a paid informer of M16. The claim: That the car the Princess was traveling in was tampered with. The investigation: Forensic accident investigator David Price, a consultant at the Transport Research Laboratory, examined the wreck for the inquiry. The report said: “David Price found nothing in his examination of the mechanical elements of the cars that would have adversely affected the control of the car or survivability of the occupants. “His technical examination confirmed that none of the occupants of the car was wearing a seat belt at the time of the collision. This differed from the original French investigation, which suggested that the bodyguard Trevor Rees-Jones may have been in the process of fastening the belt in the front passenger seat at the time of the accident. All the seat belts were in good working order, it said. Suggestions that the speedometer was struck at 192km/h after the crash were not correct, the report said. The instrument had returned to zero after impact and tests, backed by today’s report, suggested the crash speed was about 104km/h. This entry was posted on Thursday, December 21st, 2006 at 1:02 pm	and is filed under Interesting Stuff. You can leave a response, or trackback from your own site.